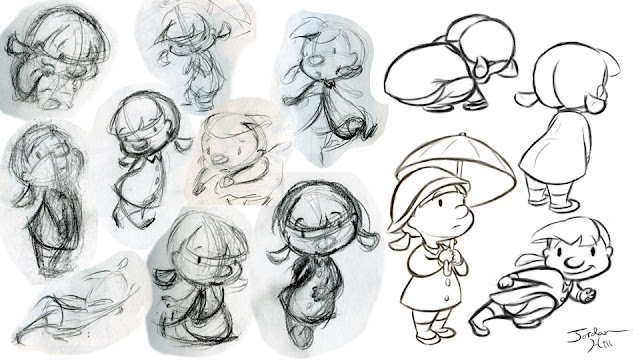 This is a character I designed last year but have just now gotten to using in a personal animation project this year. This character was designed basically for ultimate cute appeal, and because I wanted something with simple shapes to do some quick character animation.I like the way this character developed, and find myself drawing this character pretty frequently. To see the permanent spot on my site for this and other designs, click here, or click on the "Design" tab at the top!